Perfection in form and function – this was, and still is, the Hansgrohe standard. 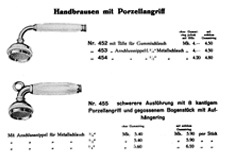 Since 1901, bathroom pioneer Hans Grohe and his descendants have traditionally been one step ahead of their time. Whether this has been inventing the first hand shower (1928) or or the wall bar (1953), or ringing in a new shower era with Raindance (2003). 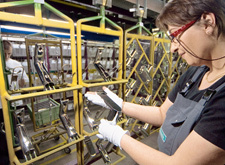 Even 116 years after the company was founded, meticulous work is still the driving force in this company from the Black Forest. Of course, the main focuses here are: benefits and enjoyment for you, the customer. The think-tank: products, inventions and solutions that have created bathroom history and revolutionised showering. Protection against plagiarism: why this Black Forest manufacturer is rigorously clamping down on pirate copies. 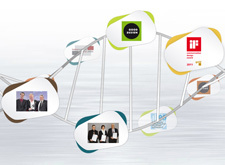 Check out Hansgrohe's interactive DNA strand and get to know about the awards won by the AXOR and hansgrohe brands. Let's determine the innovative capacity of Hansgrohe, the company known for providing ingenious bath solutions with its new technologies and design concepts.